We explore additional investments necessary to maximize the value of your marketing automation platform. It’s been a year since you made the decision to invest in a marketing automation platform and started your journey to provide a better experience to your prospects, leads and customers. However, you’re starting to realize things are not working out as you had anticipated, and the vision you and your company had is not being realized. You were not prepared for all the other investments and change necessary, which (likely) span the organization. These are investments and change that you likely weren’t informed of, unless your platform vendor was trying to sell you additional products or services. What are these investments? Data. Analytics. Content. There is basic data that you need to execute email campaigns, but this is not the data you need to execute journeys that establish relationships and deliver memorable experiences. This is beyond your typical CRM data. This is data from inside your company that is likely already being gathered from your website, mobile apps, social channels, product usage, call center, and customer transactions. What data exists? You need to identify what data you have, where it resides, and who “owns” the data and platform it’s on. Once you have identified the data your company has, you need to make it accessible: to your marketing automation platform and to others who may require the data (such as analytics teams, business analysts, and more). There are many ways to aggregate this data and make it accessible, and there is no single correct solution for every company. The solution to this may be influenced by many factors specific to your organization: enterprise data strategy and ownership, legal and compliance, and technical requirements. This is all assuming that you can associate the data between the systems (a discussion for a future blog). I’m also referring to data from outside your company that can be purchased to augment your existing data. This third party data can include organizational, demographic, financial, lifestyle, life events, and more. All of which may vary based on your customer types (B2B, B2C, both, others). This data is usually very accessible (for a price), and the primary questions about this data are usually its relevance and quality for your planned use. Data available from third parties may not always provide you with value, so it’s critical to understand what you are purchasing and how you will measure its contribution to your efforts. Analytics are often the most overlooked element of the three items. Data exists and is constantly being generated, and hopefully used, even if in isolation. Content is your company’s face to the outside world and as such tends to get significant attention (often because it involves an outside creative agency and external costs). That leaves analytics – possibly the most valuable component – of the three. First, let’s not confuse reporting with more advanced analytics. Most companies do operational reporting (sales reports, web traffic reports, marketing campaign metrics – opens, clicks and more). While these are considered analytics, they are typically the simplest form of analytics, descriptive analytics (see image below), and can’t necessarily be used to drive marketing automation campaigns. Both descriptive and diagnostic analytics are backward looking at what has happened in the past, but with the latter there are correlations between events (such as a discount on a product was offered that resulted in incremental sales increases to specific segment of customers). 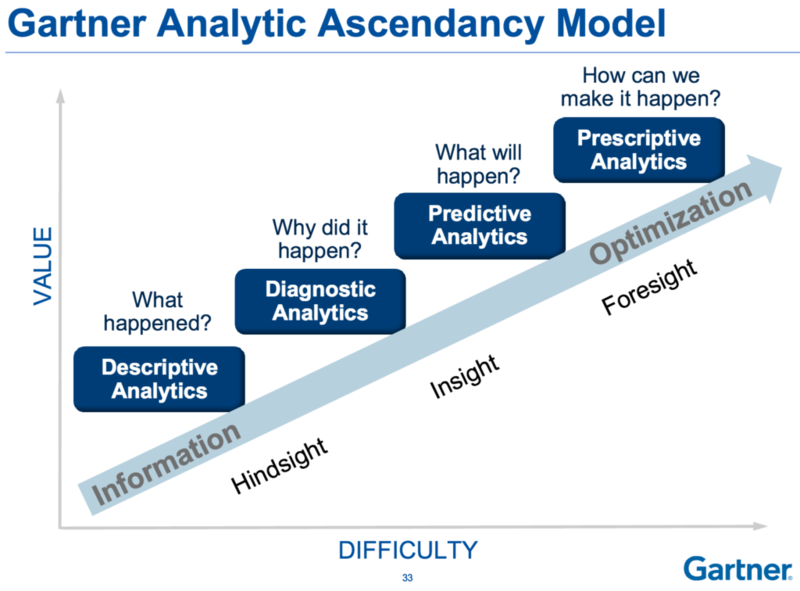 Diagnostic analytics is where you being to gain deeper insights into your customer reactions to events and experiences. You can use this information to more effectively drive your marketing automation. This also begins to enable truly personalized experiences. With predictive analytics and prescriptive analytics you move into forward-looking analytics that can be used to forecast and drive behavior, and more accurately target specific types of campaigns and marketing efforts (for example, if a customer is modeled to be loyal, they may require less marketing engagement). The popular saying of “Content is King” is still true today, with the caveat that it must be relevant content. If you don’t have relevant content, it’s not worth engaging with the customer or prospect for fear or them ignoring the content, or disengaging with the company. The relevancy of the content ties back to the analytics, in that you must know what type of content to send, whom to send it to, when to send it, and via what channel. That doesn’t mean that you must suddenly become a content generation factory. In fact, in many cases there is content all around you. It may just be siloed (just like your data). There may be sales collateral, customer operations scripts, product specifications, and press releases all within your company. Remember you have access to this exclusive content since you are the expert on your products and services. So take advantage of it! Finally, don’t forget about external content sources that you can curate (product reviews, comparisons, new stories, conversations on social media and more). Customers and prospects don’t always want to hear you talking about your offerings. I worked for a client whose curated content was consistently the top-performing content on their social channels. This may sound overwhelming and it can be. To think, there is even more I haven’t touched on yet – organizational change management, process, or evolution of the marketing technology stack. But as with most things, there is an evolution and maturity that comes with the use of technology in this area. In a future blog post, I will dive into our Marketing Automation Maturity Model. Below is a sneak peak. Can’t wait that long? I’ll show you. Michael, our National Marketing Operations Practice Lead has more than 25 years success in marketing, product development, and project and program management. His experience includes leading teams in marketing, technology, and development efforts. 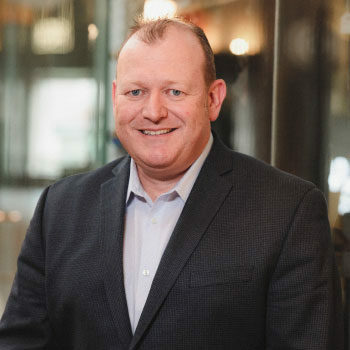 At Centric, he is focused on marketing operations (MOPS) and marketing automation, including solutions and thought leadership in the marketing technology space. In previous marketing roles with Toyota, Microsoft, T-Mobile, and Expedia, he has led efforts in digital, e-commerce, loyalty, social, and direct marketing focused on B2C.